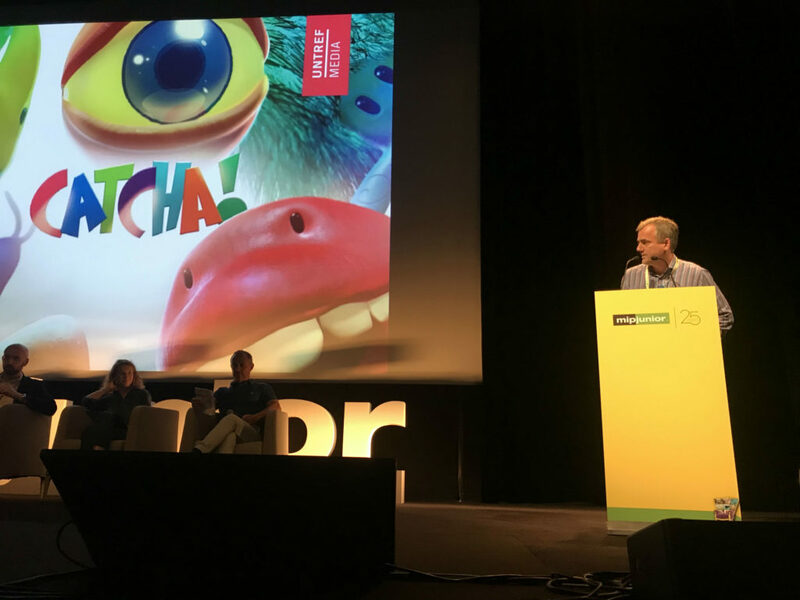 Fred Seibert was the first creative director of MTV and the last president of Hanna-Barbera Cartoons, but in 2017, he’s one of the key figures in the world of digital content for children. As founder of Frederator Networks, Seibert has overseen the rise of online cartoon network Channel Frederator; a record-setting Kickstarter crowdfunding campaign for web series Bee & Puppycat; and has helped hundreds of independent animators build their audiences on YouTube. He’s also chief creative officer of WOW! Unlimited Media, which brought together Frederator, Rainmaker Entertainment and Ezrin Hirsh. 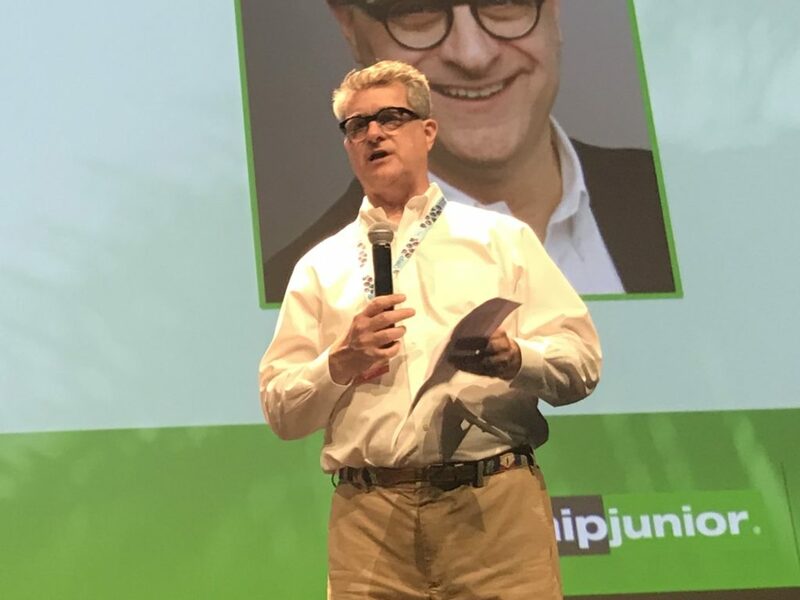 His MIPJunior keynote today saw Seibert give his views on trends in the children’s entertainment industry, having been asked by Reed Midem to give his predictions for the next 10 years. 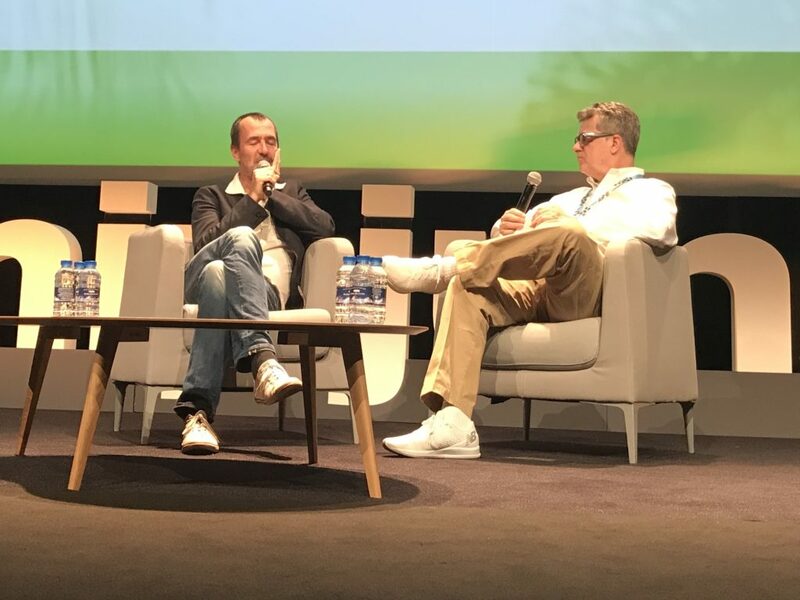 Seibert added that in the online world, there is more data available than ever before, which in theory should give creative producers the ability to understand their audience’s habits and preferences, and factor that in to their new projects. “The challenge for most producers is this feeling that the information and the math will make the difference is frightening, and that it is antithetical to the way that we think. But I don’t believe that is the case. I don’t believe that information and creative thought are the enemies of each other,” said Seibert. He pointed out that Nickelodeon was one of the first children’s networks to use research – surveying actual children – to help guide its commissioning process. Seibert talked about the modern era and YouTube in this context, with a data-infused decision to extend one of Frederator’s online shows from five minutes to 30 minutes in length. “We were able to prove against the fallacy that people on the internet have short attention spans… People want good programming. If it’s good and short they will watch it, and if it’s bad and short they will click away,” he said. Hence the decision to extend that show that Seibert mentioned. “It completely changed the trajectory of our business. We got three times more money from that process, and we doubled our viewers… all because of that information,” he said. Seibert was then interviewed by Wildseed Studios creative director Jesse Cleverly about this central theme of data and analytics informing creativity, as he prepares for life as a broadcaster through his company’s recent merger into Wow! Unlimited Media. “Those of us who have been in the traditional television business think the most important thing in our business is the television business. My observation, and my information and data that comes in is that television is not the most important part of the puzzle any more. These digital delivery systems of our video are much more important,” he said. Seibert talked about online-video stars on platforms like Amazon’s Twitch who are playing games and chatting to their audience live, and making decent money from this. “I’m not sure exactly what that means for a traditional linear television channel, but it means something,” said Seibert. 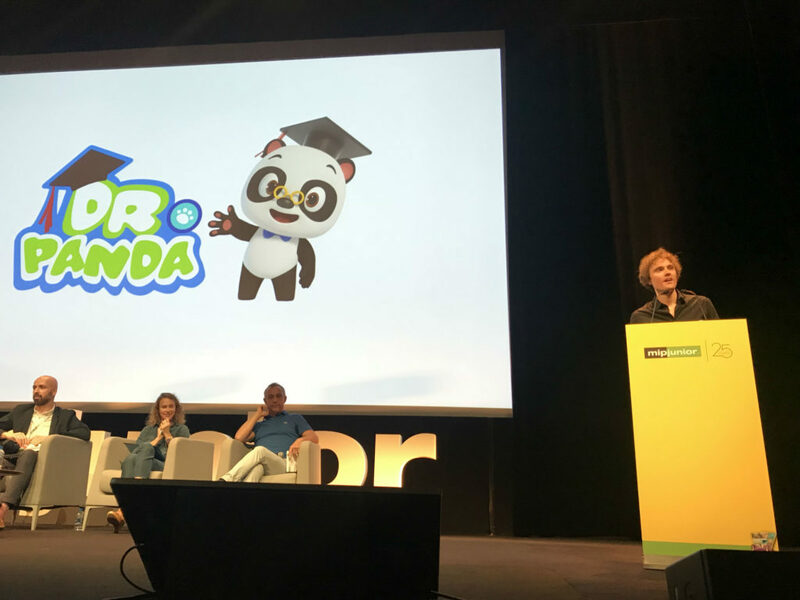 In the afternoon, some of the freshest format ideas for children were shown off at the MIPJunior International Pitch, with five finalists chosen for the contest. Big Five from Taktoon Enterprise in South Korea was presented by MD Jee Eun Lee. It’s an international show being developed with Millimages in France and writers in the UK. It’s a stop-motion animated series aimed at pre-school children, with a focus on creative teamwork and helping your friends. Lee said it was inspired by the way children play with physical toys, with toys being the show’s heroes. Production is underway with the aim of having the first series available for broadcast overseas by the end of 2018. 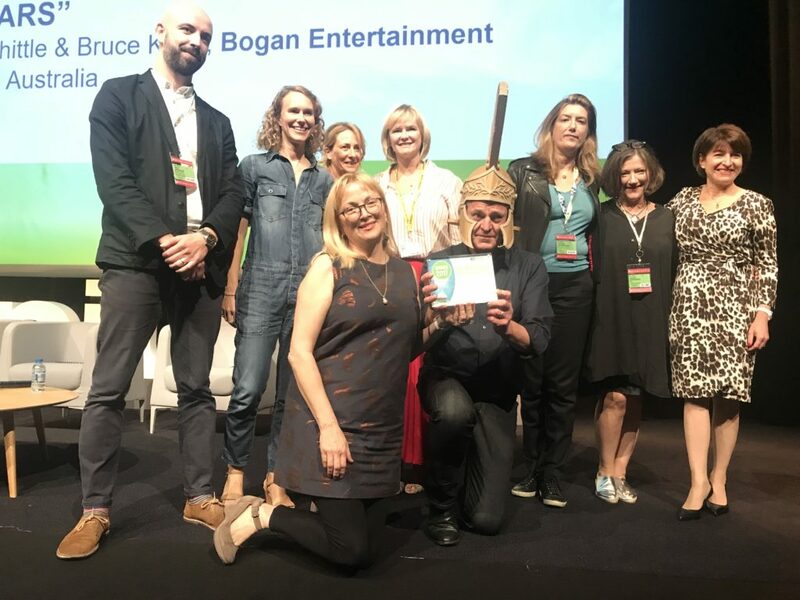 Boxwars from Bogan Entertainment Solutions in Australia was presented by company directors Bruce Kane and Judy Whittle. The show is about taking recycled cardboard, making it into outfits and objects (cannons included!) and having battles, and then turning it back into a box for recycling. The show has lots of humour, but there are real engineering and design challenges too, with two teams of kids competing in each episode, helped by mentors. 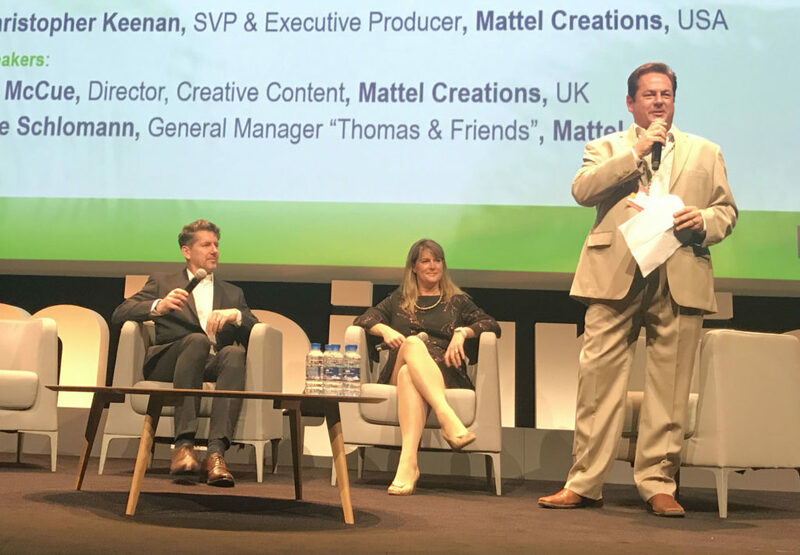 “We want to get kids off watching screens all the time and into making things with their families and friends,” said Whittle. Catcha! from UNTREF Media in Argentina was presented by general producer Federico Consiglieri. It uses the senses as the main characters: sight, taste, touch, smell and hearing personified with their own characteristics, from exuberant and politically incorrect to shy and sensitive. Each episode the characters experience a new mystery where they have to identify something by teaming up and using their skills. There is potential for apps, games, books, toys and music as well as the core TV series. The show is in an early stage of development, with plans to make a first series of 52 two-minute episodes aimed at pre-schoolers. Dr. Panda from the company of the same name in the US was presented by CMO Tom Buyckx. The company started in 2012 making children’s apps, with its apps having been downloaded 77 million times so far, with four million active users. The apps see the Dr Panda character trying a number of professions, from restaurant-owner to farmer. It’s now being developed into an animated series, with Dr Panda using his creative intelligence to solve challenges with his friend in a new job every episode. 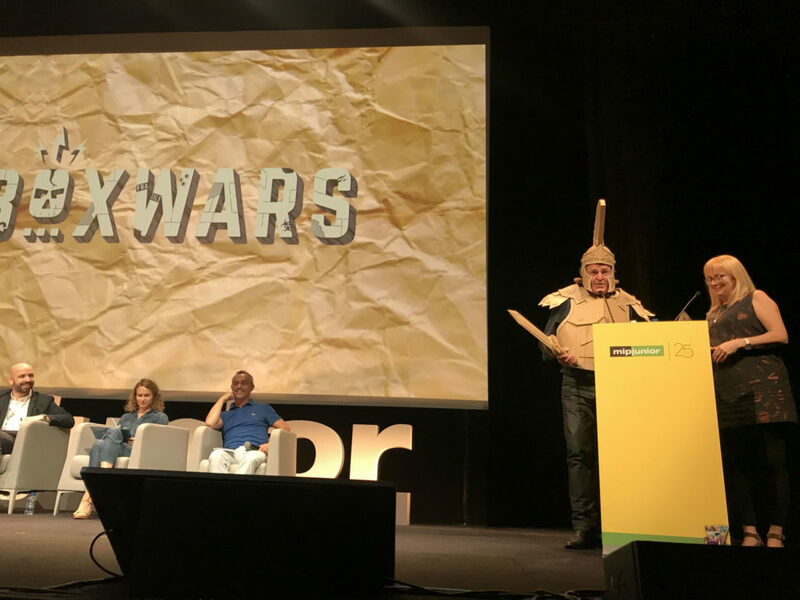 Buyckx promised plenty of slapstick humour too for the show’s intended audience of pre-school children, with 26 episodes due to be completed by May 2018. Toys, books and merchandise are also in the plans. 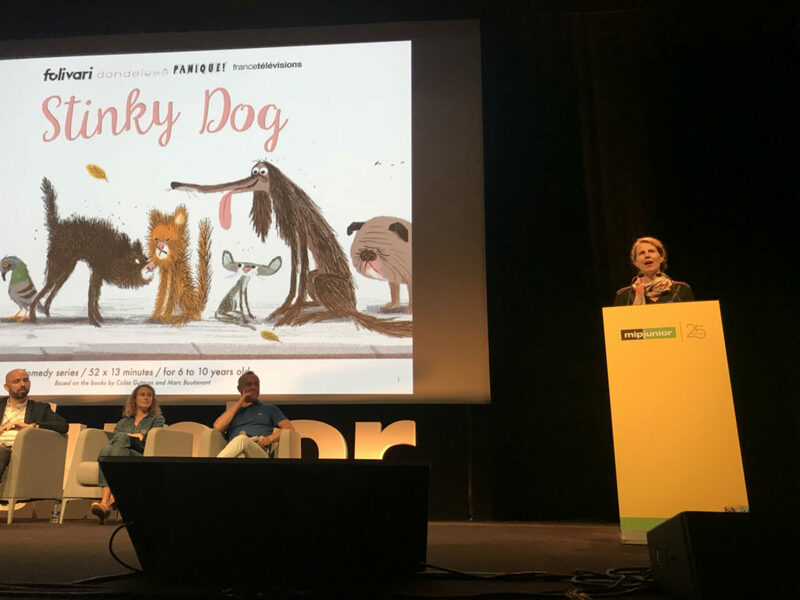 Finally, Stinky Dog (Chien Pourri) from Dandelooo in France was presented by producer Emmanuèle Pétry-Sirvin. It’s a ‘buddy’ series with the titular Stinky Dog teaming up with Flatty Cat to live in a bin, but also to have adventures. The show is aimed at 6-10 year-olds, and is set in a chic area of Paris. The twist is that the animals talk in Stinky Dog while the humans don’t: “They understand each other in a dog way,” said Pétry-Sirvin. Other characters include a bulldog, a chihuaha, a Great Dane and even a love interest for Stinky Dog, as well as a human girl called Barbara who befriends Stinky and Flatty. It’s based on a series of books that have sold more than 600,000 copies in France so far. The budget is €8m with the first series due in 2019. Judges Jackie Edwards (BBC), Annalise Liberi (RAI Ragazzi), Janine Weigold (Super RTL); Tiphaine de Raguenel (France Television) and Alexi Wheeler (Nickelodeon) retired to consider their verdicts and returned with their choice of winner. “It was a very difficult choice, because there were some very good, strong projects in there,” said Edwards, as the winner was announced as Boxwars from Bogan Entertainment Solutions. The day ended with a world premiere of Thomas & Friends: Big World! Big Adventures! It’s a new 26-episode series featuring the famous train engine, with Mattel Creations presenting the screening. 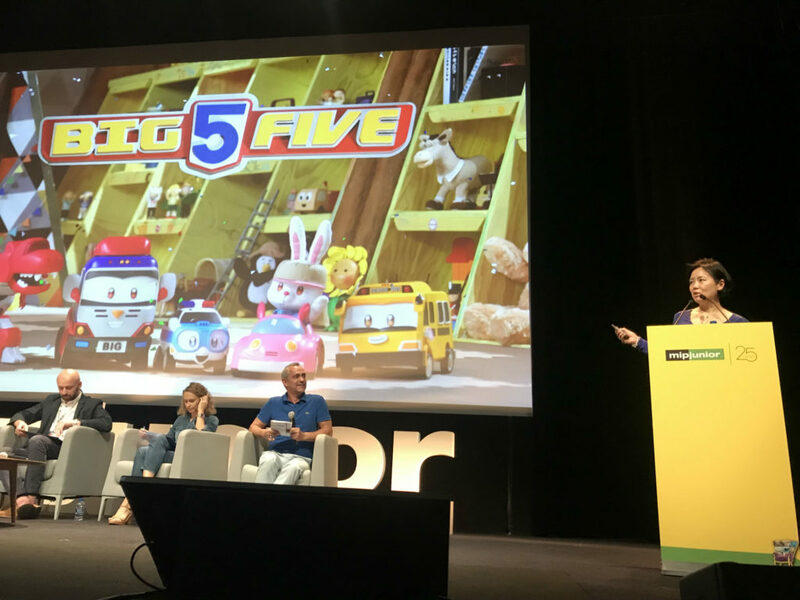 We’ll have more from the premiere in our MIPJunior screenings wrap on Sunday.